My husband and I are Jeepers. We love our Jeeps and love off roading. 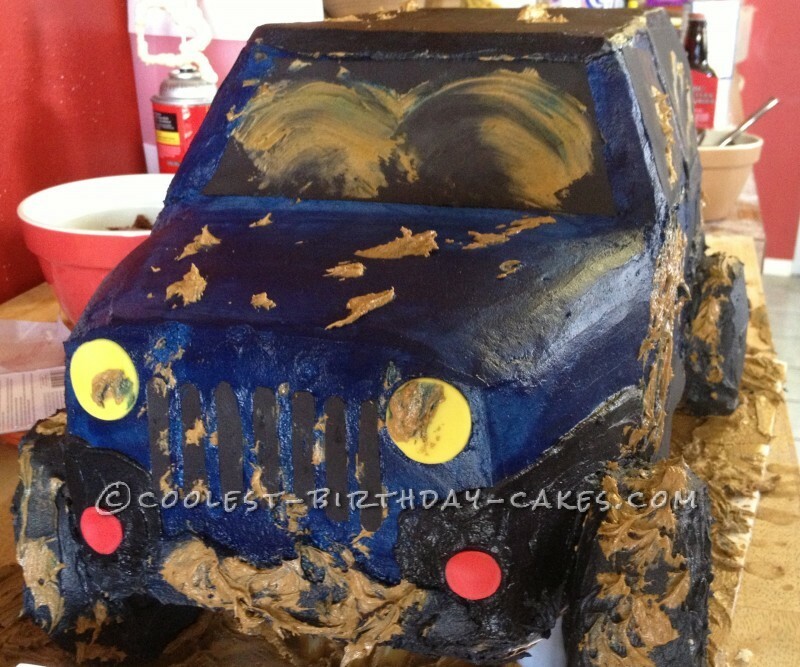 My husband likes mudding the best, so this Jeep birthday cake is what I made for his 30th birthday! The only thing I would do differently is not slope the driver and passenger sides as much because from some angles it comes off looking more like a Jeep Liberty than a wrangler! 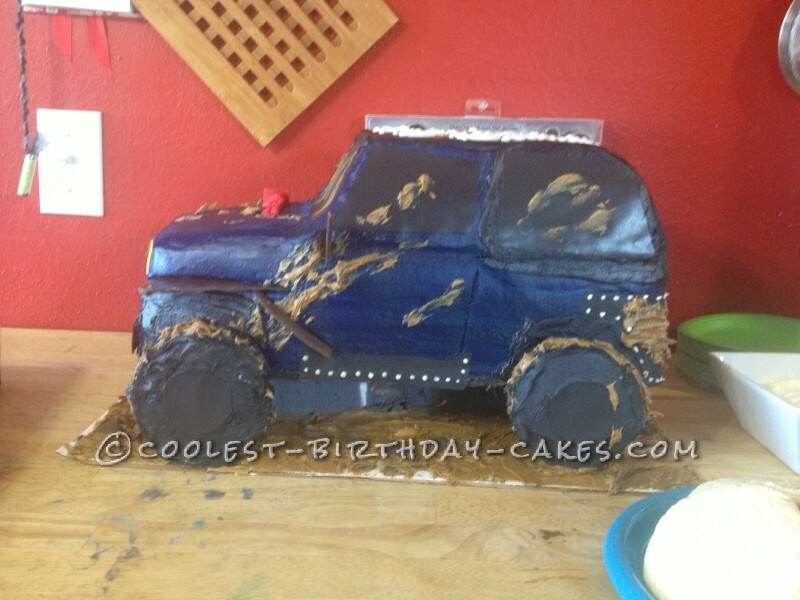 The biggest tip I would have is using supports like crazy to lift the cake off the plate so it looks like a real jeep rather than fill in the bottom with green to look like grass. 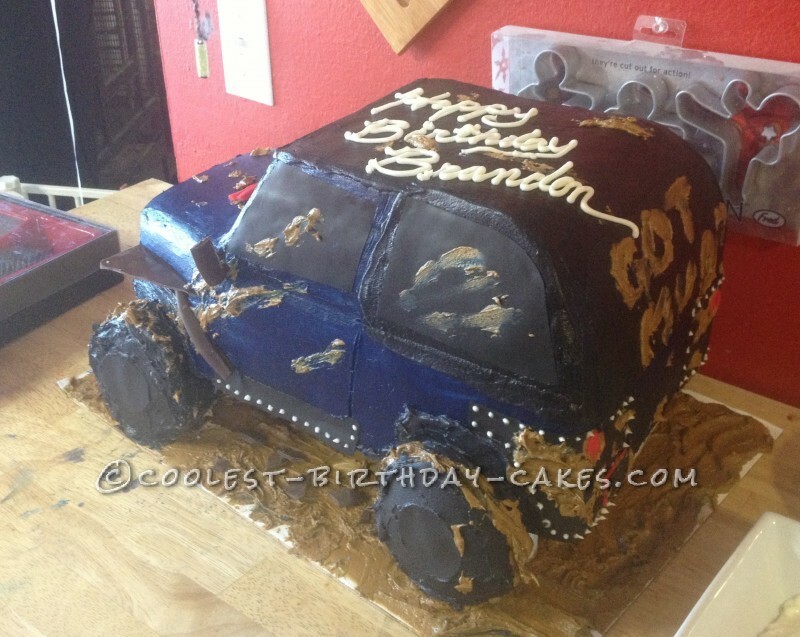 Also, I would be sure to keep the cake refrigerated or mildly frozen during most of the process. 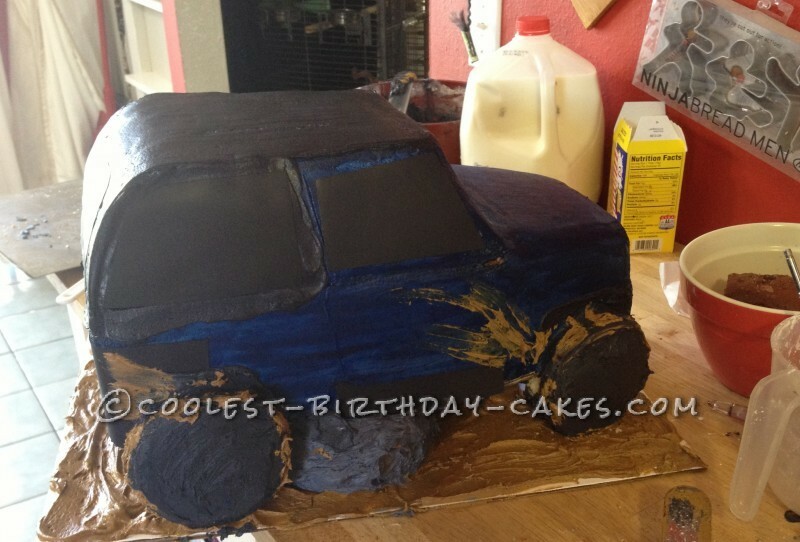 The frosting colors turn funny if you freeze it too much, but it usually works itself out! 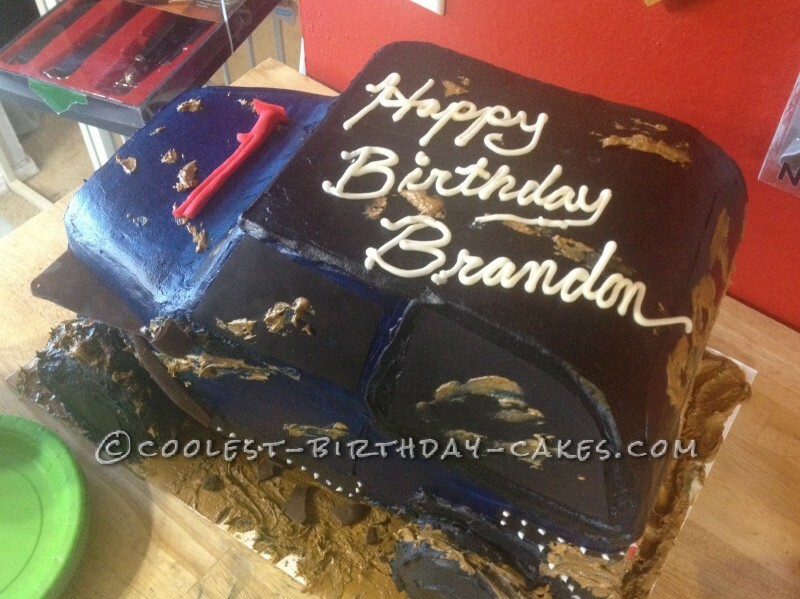 Also, use chocolate frosting as a base for any of the super dark colors because you end up using less food coloring to attain a darker color. For the windows I used sugar sheets. They are AWESOME! 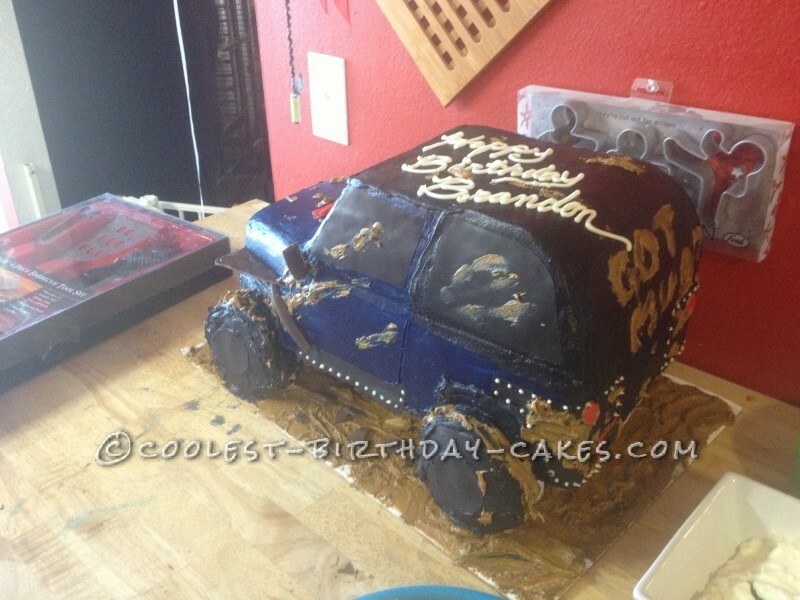 The cake was a HUGE hit. I made it with 8 boxes worth of cake, and over half of the cake got eaten between 15 people.